With just one telephone call to Pure Water Solutions, you can receive a detailed action for implementing a cost-effective solution to all your well water needs, be they large or small. We’ll test your water for contaminants. There’s no obligation and your written report is 100% FREE! Pure Water Solutions works with a team of local, properly licensed, independent contractors and sub-contractors to provide complete “one-stop” professional well water solution and services for commercial or residential water wells in Klamath Falls and Southern Oregon. Regardless of your current or future well water needs, our goal is to provide you with unrivaled expert care and exceptional well water results. The volume that a well produces varies greatly in the Rogue Valley with some wells producing hundreds of gallons per minute (GPM) to other only producing one gallon per minute. Typically, a well that produces five gallons or less per minute is not going to be able to keep up with the demands of a family and a holding tank should be installed to stave off any potential damage to the well. If you have a well that produces five gallons per minute or less, we recommend having a water holding tank and storage system installed. 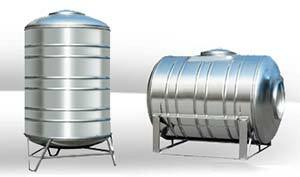 A storage tank will protect the well from the damage that can be caused by long-term repetitive cycling. Having a well water holding tank installed also offers extra protections if there is a fire. Typical water holding tanks include 1,000 to 5,000 gallon poly-reservoir tank, or sometimes a 2,000 gallon underground concrete tank. As a side benefit, the concrete tank can serve as the foundation for a well house or storage shed, which the team at Pure Water Solutions could also install as an add-on service. In addition to installing the holding tank, we can install a special Dole valve, which will protect the well pump from overworking by regulating and maintaining a slow fill rate, which is determined by your well’s production. A booster pump is installed to provide a pressurized water line from the holding tank to all the point of use faucets. As added protection we also include what is called a pump saver device to protect the booster pump and well pump in case either run out of water. No job is too big or small. Any of our services can be delivered as a complete package or stand-alone depending on your circumstances and needs or preferences. Let Pure Water Solutions provide you with one of our trouble free Well solutions giving your family safe, dependable, purified well water for years to come. In Klamath Falls, call Pure Water Solutions for trouble free well water services and safe, dependable, purified well water for years to come. Give us a call or CLICK HERE to request your FREE on site water testing and no obligation well consultation..